Athletic activity can be an enjoyable, rewarding, and beneficial form of exercise, but it also involves certain risks. Countless people are injured every year while taking part in various games and activities, and the victims in many of these cases are children. If you or someone you love has been hurt due to the negligence or carelessness of a coach, league, educational institution, or other entity, the Virginia athletic injury lawyers of CHASENBOSCOLO could help you get the justice and compensation you deserve. The Center for Disease Control and Prevention (CDC) states that collision or contact sports have the highest injury rates. Each year, football, basketball, baseball, and soccer are responsible for approximately 80 percent of all sports-related emergency room visits for children between five and fourteen years of age. According to the CDC, 2.403 million sports- and recreation-related injuries were caused by falls, 1.449 million injuries involved overexertion, 1.321 million injuries were the result of a victim being struck by or against a person or object, and 1.054 million involved transportation. The CDC stated that these injuries included 4.262 million strains or sprains, 2.055 million fractures, 1.953 million superficial wounds or contusions, 1.044 million open wounds, 460,000 traumatic brain injuries (TBIs), and 296,000 dislocations. By regions of the body involved, 4.326 million injuries were to lower extremities, 3.122 million injuries were to upper extremities, 1.691 million injuries were to the head and neck, and 1.037 million injuries were to the trunk. If you or your loved one have suffered any kind of athletic injury in Virginia, you have the right to seek compensation if you were hurt due to negligence on the part of another person or party. CHASENBOSCOLO is available 24 hours a day, seven days a week. Call (703) 538-1138 or contact us online to set up a free consultation. Do I Need An Athletic Injury Lawyer? Many people believe that participating in any sport means that a person is assuming a certain amount of risk that will make it impossible for them to recover compensation. Additionally, parents believe that the consent forms they signed allowing their children to participate in organized sports activities effectively waive liability. The truth is that coaches and organizations may be responsible for certain decisions or actions that place children at risk of suffering sports injuries. Other cases could involve defective equipment. It is therefore important to hire a knowledgeable attorney who can conduct their own independent investigation. A lawyer will be able to determine how an injury happened, what caused the injury, and what parties may be liable. A sports injury may result in a lifetime of medical bills, and some insurance companies will offer lump-sum settlements to victims in order to quickly resolve their cases. An experienced attorney can negotiate a fair settlement for you, as most offers from insurers do not provide victims with enough to cover the future costs of care. 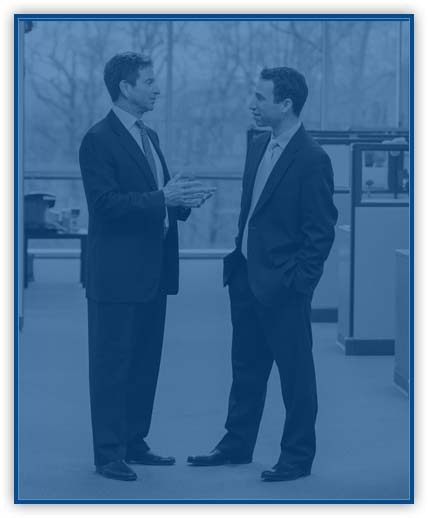 CHASENBOSCOLO has recovered hundreds of millions of dollars for thousands of clients since our firm was founded in 1986. We provide a No Fee Guarantee,® so that you pay nothing until you obtain a financial award. What’s more, CHASENBOSCOLO has handled many types of sports injury cases in Virginia. Our clients have included members of several professional sports organizations. We have helped members of the Baltimore Ravens, Washington Redskins, Baltimore Orioles, Washington Nationals, Washington Capitals, Washington Wizards, Washington Mystics, and D.C. United. Among the accolades our lawyers have been awarded, attorney Barry M. Chasen received an AV Preeminent rating from Martindale-Hubbell, a peer rating denoting the highest level of professional excellence. Attorney Benjamin T. Boscolo is a member of the American Association for Justice, District of Columbia Bar Association, and Prince George’s County Bar Association. The legal team at CHASENBOSCOLO will pursue a settlement that provides for all of your needs following a sports injury. When the negotiation process stalls or is unproductive, our firm will hold the negligent party accountable. Liability for these types of injuries can be very complex. In some cases, a coach, school district, or another organizing body could be liable. For example, athletic injuries may have resulted from a coach allowing an athlete to play despite signs of injuries, from another player intentionally attempting to cause injury, or from a failure to properly diagnose an injured player. Furthermore, cases involving defective equipment may make the manufacturers liable. Victims in these cases often incur injuries that require thousands of dollars in medical care, and some may need full-time assistance with their daily activities. In certain cases, individuals will not be able to return to work due to their injuries. When should I see a doctor about an athletic injury? You should always seek medical care as soon as possible any time you believe you may have suffered an athletic injury. Do not wait for an injury to heal on its own, get proper treatment for an injury as soon as possible. Keep in mind that many serious injuries involve delayed symptoms, and an insurance company will often use a person’s failure to seek treatment as evidence that the injuries were not that serious. What should I do if my child suffered a concussion during an athletic event? A concussion is a mild traumatic brain injury, but it can still be serious. According to the Brain Injury Research Institute, up to 3.8 million young athletes suffer concussions. Children who have suffered concussions should be removed from sports activities and given several days of rest before resuming participation. Do not try to “play through” concussions, as you may be at risk of a more serious brain injury. You should seek medical treatment for more serious concussions. In 2007, the American Orthopaedic Society for Sports Medicine (AOSSM) initiated the Sports Trauma and Overuse Prevention (STOP) sports injuries program. The STOP program states that more than 3.5 million children under 14 years of age receive medical treatment for sports injuries annually. Almost half of all sports injuries to middle and high school students are overuse injuries. While STOP reports that 62 percent of organized sports-related injuries occur during practice, one-third of parents do not have their children take the same safety precautions at practice that they would during a game. Participation in sports and recreational activities also accounts for 21 percent of all TBIs among children in the United States. According to Stanford Children’s Health, more than 775,000 children 14 years of age and younger are treated in hospital emergency rooms for sports-related injuries annually. Most of the injuries are caused by falls, being struck by an object, collisions, and overexertion during activities. According to STOP, nearly 40 percent of all sports-related injuries treated in hospitals in 2007 were those of children five to fourteen years of age. Athletes who suffered injuries in this age group include football players (28 percent), baseball players (25 percent), soccer players (22 percent), basketball players (15 percent), and softball players (12 percent). The numbers reported for 2009 by the United States Consumer Product Safety Commission (CPSC) differed somewhat, however. According to the CPSC, more than 215,000 children ages five to fourteen were treated in hospital emergency rooms for injuries related to football. Among that same age group, more than 170,000 were treated for injuries related to basketball, nearly 110,000 were related to baseball and softball, and about 88,000 were related to soccer, and more than 20,000 were related to ice hockey. But not all injuries the CPSC reported were related to team sports. For that same year, the agency also disclosed that nearly 200,000 injuries among children ages five to fourteen were related to bicycling. What’s more, over 66,000 of the injuries among children of this age group were related to skateboarding, 65,000 were related to trampolines, more than 47,000 were related to in-line and roller skating, over 25,000 were related to snow skiing or snowboarding, and more than 16,000 were related to sledding or toboggans. If you or a loved one have suffered any kind of athletic injury in Virginia, do not wait to take legal action. You may have only a limited amount of time to act, and an experienced lawyer will work to help you recover all of the compensation you are entitled to. CHASENBOSCOLO puts the needs of its clients first. Our team of dedicated attorneys can help you achieve the most desirable possible resolution to your case. To discuss all of your legal questions and concerns, contact us online or call us today at (703) 538-1138 for a free consultation.